No attorney likes to think about the prospect of being the subject of a legal malpractice claim. However, if a claim against you is made or threatened, it makes sense to have someone else look at the facts objectively. The lawyer’s traditional role as an advocate contrasts dramatically with the lawyer as a defendant. Do not defend yourself. You are neither objective, nor rational about claims brought against you. Your efforts to short-circuit a claim by taking matters into your own hands, while good intentioned, only serves to damage your defense. When a client makes a malpractice claim against you, you must not panic. You must make a conscious effort to suppress emotionalism and view the situation as objectively as possible. Do NOT contact the person making the claim or the attorney representing the claimant. If you apologize or expresses any degree of remorse for what happened, no matter how well intentioned, this non-privileged communication will most certainly come back to haunt you later during the proceedings. 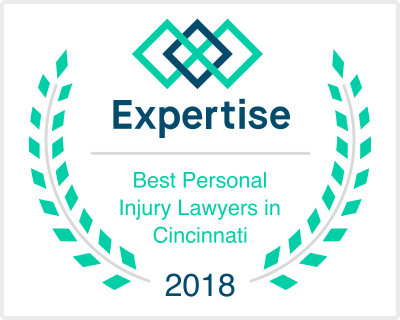 If you attempt to explain that no malpractice occurred to the claimant, or if you make settlement overtures without your attorney, such actions may adversely prejudice the ultimate defense strategy. Instead of panicking, and instead of trying to handle the matter yourself, react as you would advise a client to react and begin by (1) placing your insurance carrier on notice, (2) preserving and collecting all relevant evidence, (3) involving your defense counsel as early as possible and (4) discussing the case only with your insurance company and counsel. If you do not have insurance for whatever reason, you still must not panic. You need an objective attorney involved more than ever if you find yourself in an uninsured claim. Under your insurance policy, you often have the right to choose your own counsel. You may also have the right to refuse to settle, even if the insurance company wants to settle. However, these decisions can affect the amount of insurance coverage available to you. One of the first things we do when defending a lawyer is to read and understand your insurance policy, and develop a defense strategy with the least amount of risk to you. Whether or not you have insurance, you should choose an attorney based upon experience and trust. At Phillips Law Firm, Inc., we have defended many legal malpractice claims because lawyers trust our advice. If you are entitled to an absolute defense, we will advocate for you. On the other hand, if you have made a mistake, we will tell you candidly, and we will focus on the best resolution for you. Every case is unique, and will have to be evaluated based upon its own facts and circumstances. If somebody is accusing you of legal malpractice, and you want to talk to somebody who is willing to give you an honest and objective evaluation, we can help you.